Review of radiological findings showed that most cases of pleural PNETs similar to ours presents with massive pleural effusion, occasionally haemorrhagic or loculated. For PNET and medulloblastoma, associations were generally stronger (OR further from the null) with exposure during the entire pregnancy than associations with exposure according to trimester of pregnancy (Tables 2 and 3; see also Tables S2 and S3). Histologically, PNETs of the bladder appear as poorly differentiated sheets of small, round cells that stain blue on hematoxylin and eosin (H&E) staining. 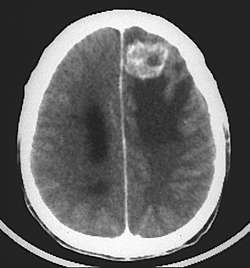 The pathological diagnosis of PNETs depends on classic histological and immunohistochemical features. The time to presentation of these secondary tumors was calculated by Sobowale to be an average of ten years after radiation, and the age of presentation for these tumors significantly higher than that for primary PNETs, with a mean presentation age of seventeen years. Further permanent pathology analysis of the surgical specimen and immunohistochemistry showed negative immunoreactivity for inhibin and revealed an undifferentiated malignant neoplasm, consisting of malignant small round cells with monomorphic nuclei and scant cytoplasm with features most consistent with the PNET. 13,14 Few malignant PNET tumor occurring at the tip of the tongue have been reported in the literature. The cytologic differential diagnosis of PNET includes lymphoma, neuroblastoma, embryonal rhabdomyosarcoma, small cell carcinoma, synovial sarcoma, small cell variant of melanoma, basaloid squamous cell carcinoma and poorly differentiated non keratinized squamous cell carcinoma (13-18). Of the 16 patients with PNET who have been treated with BBBD plus carboplatin-based chemotherapy, 11 (62%) had an objective radiographic response including nine complete responses and two partial responses. 12) The cases with rosette formations were traditionally reserved the title PNET, whereas those cases without were termed ES. Findings demonstrated that serum levels of CgA in 89 PNET patients were markedly elevated compared with those in healthy controls (P = 7. 2 Histologically, these tumours are shown to be undifferentiated and considered to be PNET, while pathologically, they are similar to Rb.